Through this live broadcast we brought to life what an exciting career in flood and coastal engineering looks like. Hear the stories of some of our outstanding female engineers, in addition to hearing their stories, you will be able to interact with us directly and ask any burning questions you might have. Hear from Emma Howard Boyd Chair of the Environment Agency and The Rt Hon Anne Milton MP (Minister of State for Apprenticeships and Skills). During this recorded broadcast you will find out how you can forge your own path into a rewarding vocation which makes a real difference to people’s lives, leave a legacy and creates better places for people and wildlife. 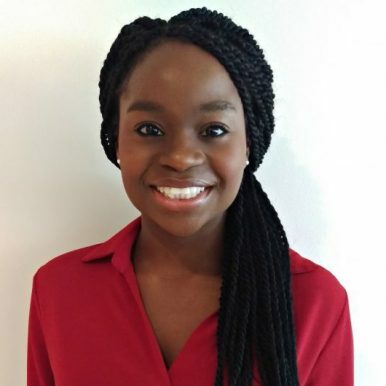 Ayo Sokale, is a graduate civil engineer on the flood and coastal risk management training scheme at the Environment Agency, working towards a CEng professional accreditation with the Institution of Civil Engineering (ICE). She is one of the ICE President’s Future Leaders through which she has being involved in the State of the Nation report on Investment and the ICE’s In Plain Sight: Reducing the risk of infrastructure failure report which reviews the potential vulnerabilities in infrastructure post Grenfell. Passion for engineer began in her formative years where she witnessed the transformative power of engineering. For her A-Levels, she studied maths, physics and chemistry, with an AS in further maths. Followed by, a Masters’ degree in Civil and Coastal engineering at Plymouth University with a year in industry where she worked at CH2M a global engineering consultancy. During her career to date, she has project managed the Abingdon Flood Alleviation Scheme which delivered a 34m flood wall that protected 5 properties from flooding and was an assistant project manager on Oxford flood alleviation scheme. She was the Engineering and Construction Contract site supervisor for the Tull Way flood alleviation scheme, a flood storage reservoir that protects 250 properties in Thatcham. She is currently managing and designing projects such as a by-pass channel to improve fish migration and flood embankments. Ayo is passionate about raising the profile of engineering careers, a STEM ambassador and a mentor. She regularly volunteers and founded a charity event that raises money for Derriford Children Cancer Service. 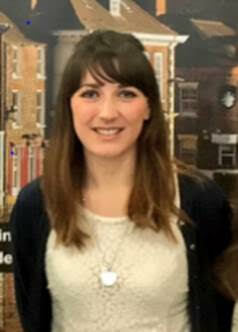 Penny began her career with the Environment Agency in 2014 through its Flood and Coastal Engineering degree programme. Having worked in French customer services for Eurostar after graduating from the University of Exeter in 2012 with a degree in Geography and French, Penny decided to change career and apply for the Environment Agency’s Flood and Coastal Engineering degree programme, which combines university study with on-the-job work placements in different flood and coastal risk management departments. The course equipped Penny with the specific technical knowledge that she has been able to apply directly to her current role in the Swale and Stour Asset Performance Team in Kent. Her day-to-day job involves investigating ways we can reduce flood risk and ensuring our flood defence structures are maintained and fully operational. Through sponsorship from the Environment Agency, Penny is now completing the final year of the engineering degree part-time whilst working, with the aim to become chartered. To Penny, flood and coastal engineering is all about problem solving and working with natural processes to provide the most effective, sustainable solutions. Outside of work Penny loves seeing live music; she has been to 10 different music festivals in the UK and Europe, and has many more on the list. Geography and Maths were Hannah’s favourite subjects at school, wanting to combine these in any future career path. 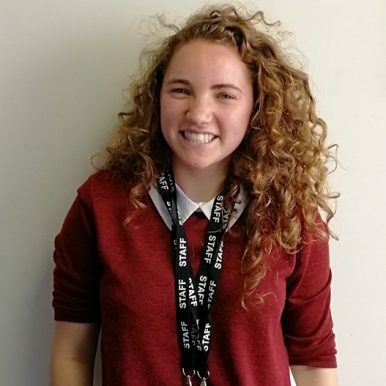 Hannah is currently in her first year at Brunel University studying Flood and Coastal Engineering (FaCE) which involves a 6 month placement at the Environment Agency. The Environment Agency annually offers a minimum of 20 sponsored (payment of tuition fees/training allowance) places on to the programme. She is currently undertaking her placement in the Asset Performance team, which involves maintaining and improving flood protection assets. Although it’s still early in the programme she’s certain it’s the right career move. She concluded: ‘Having a placement integrated with my degree not only gives me experience which employers are looking for but allows me to find out which aspects of my job I enjoy at a much younger age allowing for me to focus my career path much earlier’. For her A-Levels Emily took Mathematics, Design Technology and Geography. She first became interested in a career in engineering following an Engineering in Schools day, which she took part in during sixth form. Emily then went on to study at the University of Exeter where she spent her first year studying general engineering before choosing to specialise in Civil Engineering. Emily is now a Chartered Civil Engineer and has worked on a wide range of projects in the water consultancy sector including flood protection schemes, water supply and hydropower projects. 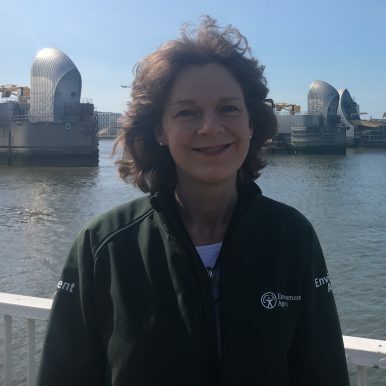 She is currently working for Jacobs as a Project Manager on the Thames Estuary Asset Management 2100 programme (TEAM2100), the Environment Agency’s 10-year programme for refurbishing and replacing tidal flood defences in London and the Thames Estuary. Emily loves to travel and spent a semester studying in Germany as part of her degree. Since starting to work Emily has had the opportunity to travel overseas and has worked on major construction projects in both Albania and Georgia. Alison started her interest in engineering when her careers teacher said “Girls don’t go into engineering”. She went on to study civil engineering and started her career in Nepal on water supply, roofing solutions and micro-hydropower. The ability to make a real difference to people’s lives and the environment inspired her to continue her engineering career. Alison is a Fellow of the Institution of Civil Engineers, was voted one of the top 50 women engineers in the UK in 2016 and lives with her family and golden retriever on the top of the North Downs. What is International Women in Engineering LIVE? International Women in Engineering LIVE is a live streamed event that will broadcast to thousands across the UK wanting to find out more about working in engineering in 2018 and the exciting developments happening within the sector. How do I ask a question before or during the International Women in Engineering LIVE event? You can send your questions in advance to info@learnliveuk.com You will be able to also ask questions live on the day of the event by using the chat facility which will be located next to the video player. To test the chat facility please visit our demo page and leave us a comment or question.